I actively take part in public engagement. This includes going to science festivals with activities I have developed with colleagues, giving talks at schools and helping out at events at the University. I have been a STEM ambassador since 2009 and am keen to get more involved with local schools so feel free to get in touch with me if you are would like to arrange an astronomy/space lesson. I have been a member of UKSEDS since 2012 and although I resigned from the role of Head of Outreach in 2013, I am still closely involved in the activities. In 2015 I was awarded the UKSEDS outreach ambassador of the year award for my contribution to public engagement. Below is a more detailed timeline of things I have been involved in. Between June and September 2016, I worked with the University of Birmingham to create a web resource for A-level students looking to do Physics at University, these included the videos and podcasts that I scripted and feature in, and the creation of the web content. An event held for y11/12 students as an insight to the different career pathways from A-level physics that included a speed networking event with professional women who had studied physics. Jun 2015 Big Bang Schools Workshop, Shireland Collegiate Academy. Interactive day with activities relating to research at the University of Birmingham, Astronomy and astrophysics including gravity, lensing, and gravitational waves. May 2015 The origins and transmission of culture conference – invited speaker, UoB. Apr 2015 Caltech Post-doc Lunch – talk on human exploration of Mars. 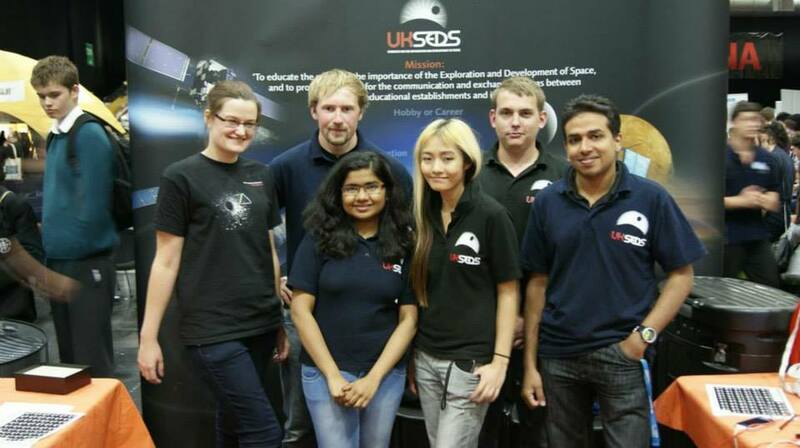 18th Mar 2015 Woodlands Academy, Coventry – talk on Mars and Q&A session. 17th Mar 2015 Solihull School, Solihull – talk on Mars and Q&A session with ~40 kids aged 8. 3rd Mar 2015 King Edward VI Five Ways school, Birmingham – talk on Mars with an audience of ~1200 11-18 year olds. Meet the scientists stall with interactive activities for an event aimed at 13-16 year olds. Involvement in coordinating events in the UK and running of a geocaching event in the West Midlands. Monthly event held within the School of Physical Sciences to showcase our research both verbally through engaging talks and physically with our live demonstrations, ask the experts session, learn to use a telescope and what to look at in the night sky and enjoy the opportunity to visit our observatory. Running of 2x1hr gravity themed interactive sessions for ~30 year 9 girls. 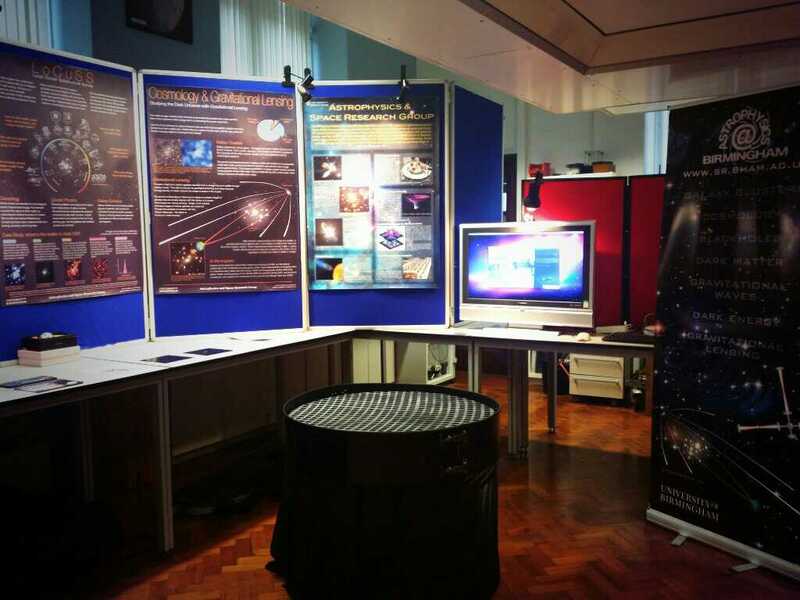 Volunteer to showcase the research carried out within the Astrophysics group and also communicating to potential students and their parents the Physics course and student life. A popup shop in the city centre showcasing the research carried out at the University to the general public. We brought along several activities relating to our work within the Astrophysics group, in particular black holes, gravitational lensing and gravitational waves. I was Space camp activity provider for Scouts and Guides to obtain their space badge! This event was very challenging since the kids came from all over the world. Explaining science concepts such as planetary orbits to young children takes practice but explaining it to kids that don’t speak the same language as you is a whole other experience!